Open Studios – artist studios will be open both days from 12:00 – 5:00PM, where you can shop and be inspired at the same time! You can meet all different types of artists and makers, like fiber and glass artists, jewelers, metal workers, painters, photographers, potters, printers, woodworkers, sculptors and more! The Loading Dock Gallery – NE Regional Juried Show – don’t miss this special exhibit! Opening reception, including Annual Poetry Convergence, is on Saturday from 4:00 – 6:00PM! Artful Pumpkin Contest – vote for your favorite artist-designed pumpkin…and, you could win a prize! Great Food & Craft Beer – a specialty Food Truck will be on-site, and check out the Navigation Brewing Company taproom, open from 2:00 – 8:00PM! Bring your family and friends ─ there is something for everyone to enjoy! 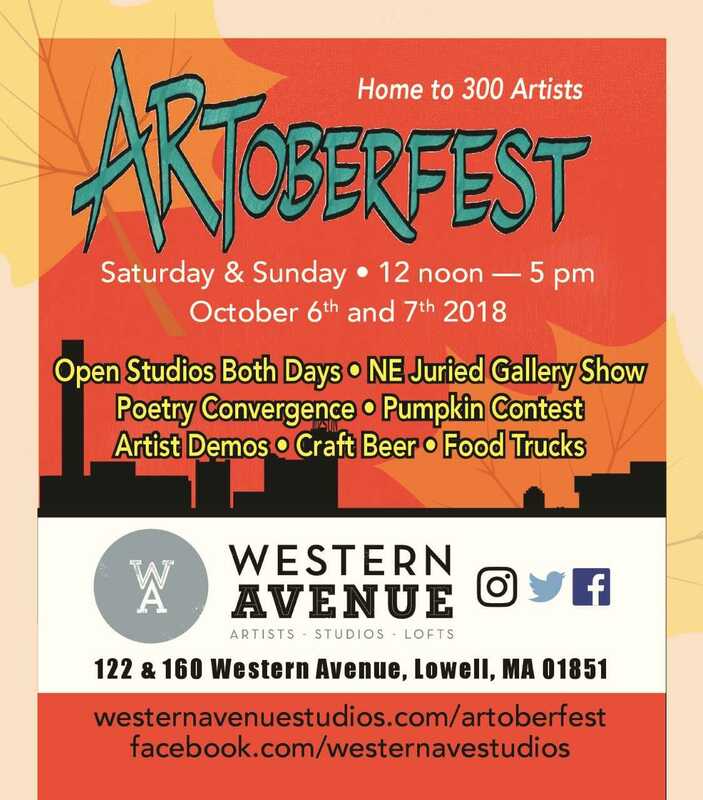 Twitter and Instagram: check for images using #westernavearts and #wasArtoberfest !